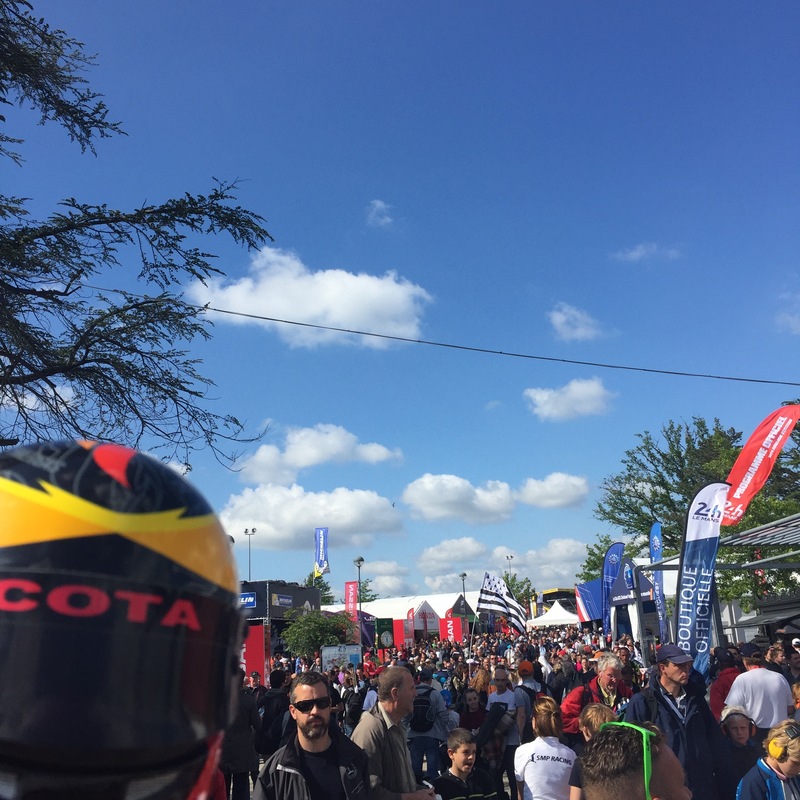 When the opportunity came up for us to take the COTA social media circus on the road to the legendary 24 Hours of Le Mans, we were quick to say "oui." Seeing one of the most prestigious events in motorsports from behind the scenes? Sign us up. So we packed our passport and soon-to-be-dinged-up miniature crash helmet and headed off to France. 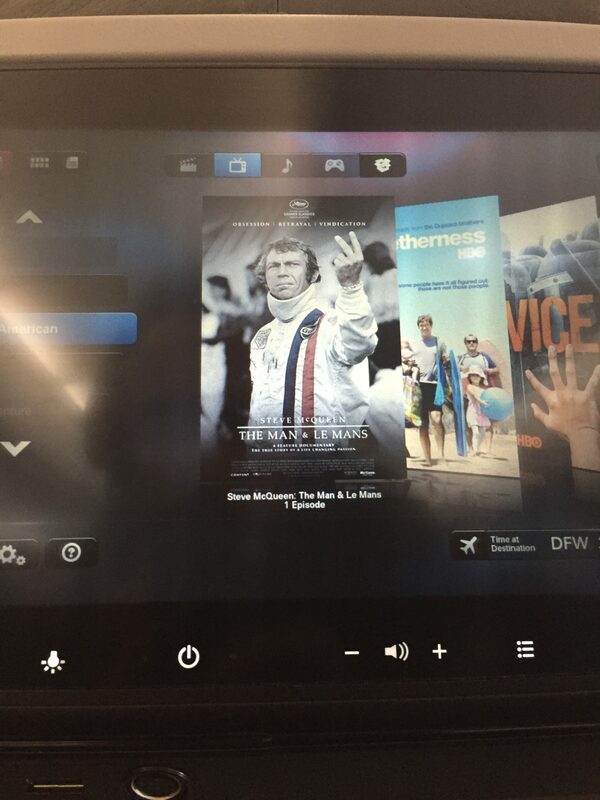 It's like the in flight entertainment options knew we were coming. After a quick day in Paris where the Louvre staff continually denied they have a secret classic cars collection, it was off to Le Mans. The journey from Paris to Le Mans takes about two hours, plenty of time to really see what our little Renault Twingo could do. We're pleased to report it was an incident-free trip with a top speed of 110 kmh. Hopefully that was within the speed limit. 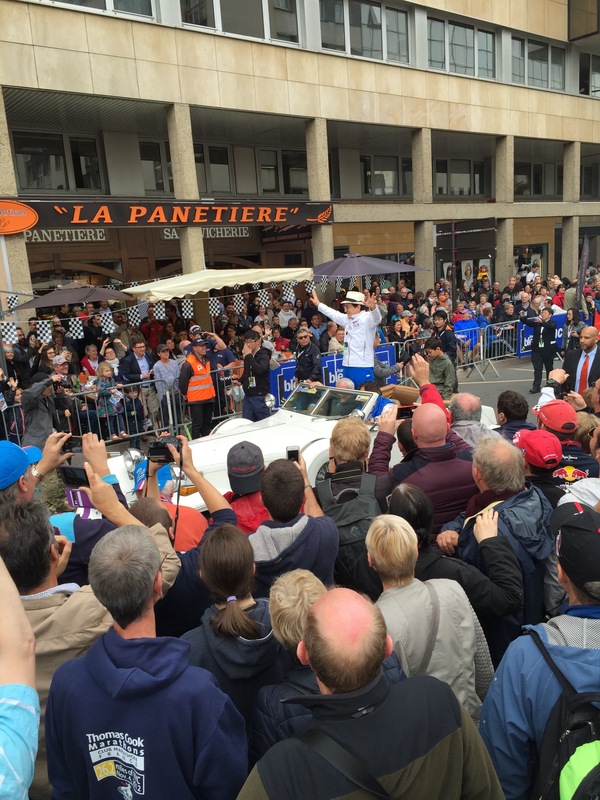 First thing's first: if you've never been to Le Mans, they do their driver parade a little differently. Instead of beautiful cars navigating the circuit with drivers in tow waving to the adoring masses, the parade takes place right in the middle of the city. You get right in the thick of it with thousands of fans, all your favorite drivers, and for some reason, Jackie Chan. Mr. Chan greets fans, declines to comment on Rush Hour 4. When we arrived at Circuit de la Sarthe the morning of the race, we were immediately struck by the electricity in the air. 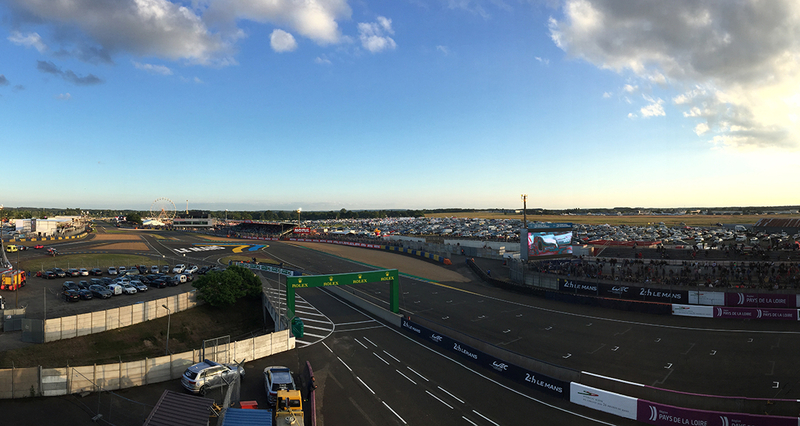 The 24 Hours of Le Mans could be considered the ultimate gearhead's paradise, a sprawling hub of all things fast. From constructor displays to vendors to car shows, the Village at the 24 Hours of Le Mans was a carnival of car culture. From there, we got the full Le Mans treatment. At the grid walk (which you can watch our perspective of here), we got up close and personal with the magnificent machines that will race deep into the Texas night once Lone Star Le Mans returns to COTA. A pair of garage tours from our friends Strakka Racing and Dempsey Proton Racing gave us an insider's perspective of what it takes to compete in such a grueling series. It was the perfect kick off to what turned out to be one of the most exciting runnings of the 24 Hours of Le Mans in recent memory. 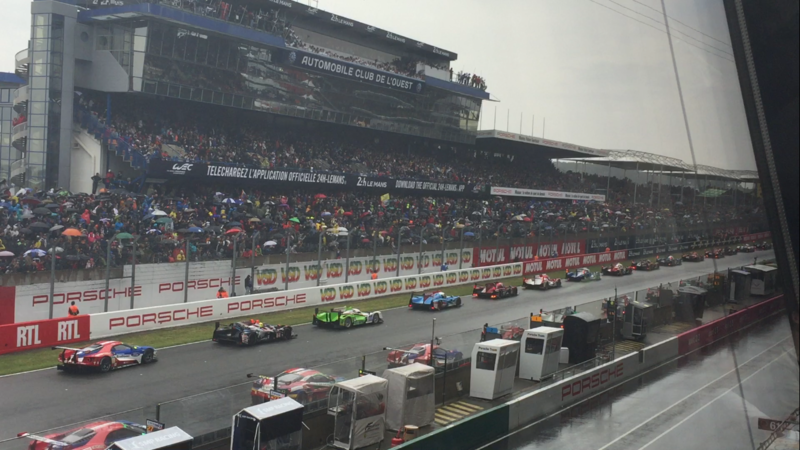 A soggy start in Le Mans. If you saw the race, you know the stories by now. Toyota's heartbreak, Porsche's good fortune, the long awaited return of Ford. Every second of the 24 hours proved meaningful this year, a true testament to the art of endurance. We can't wait to see another thrilling chapter unfold right here at COTA. 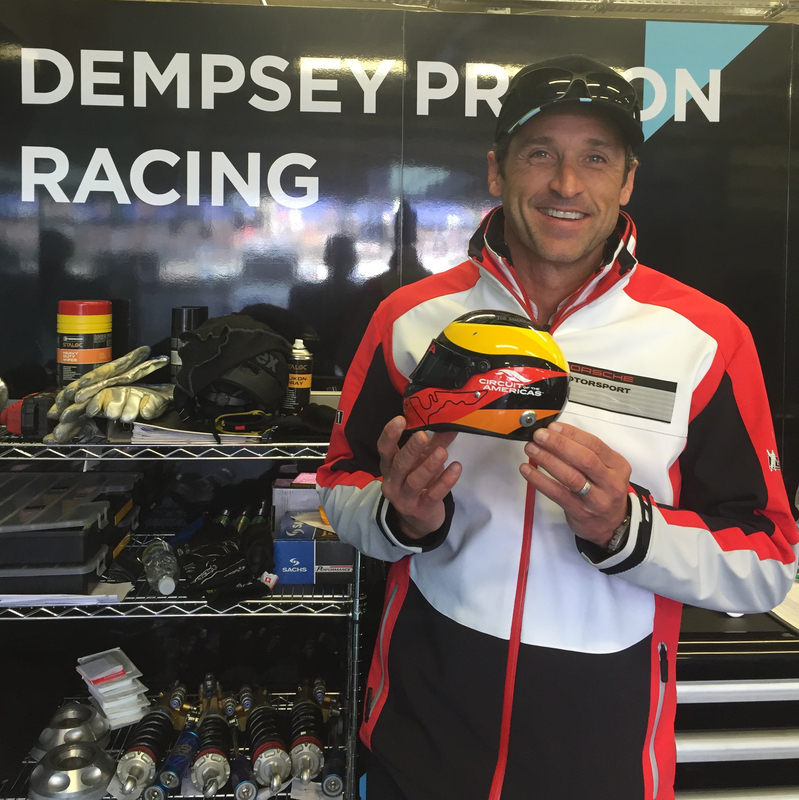 Thanks again for the garage tour, Patrick Dempsey. 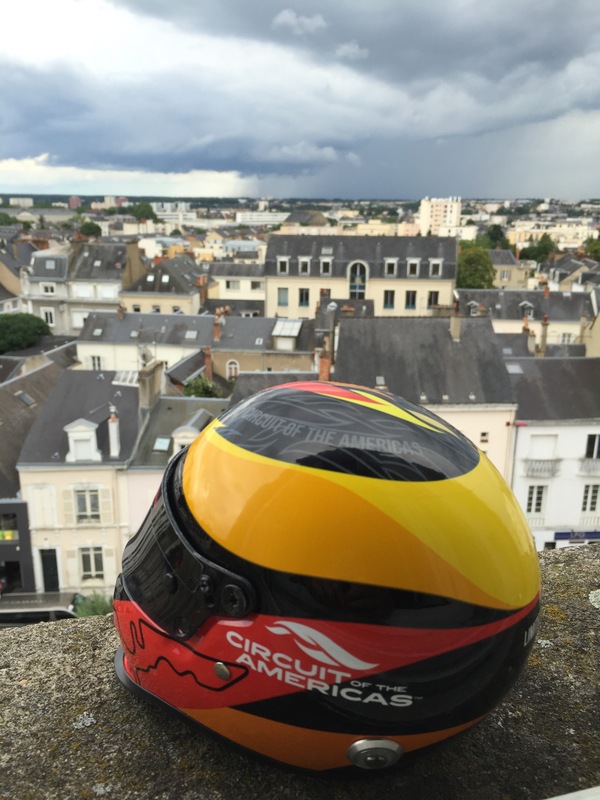 Couldn't make it to Le Mans this year? Well, we've got you covered. COTA is bringing the spirit of Le Mans to Texas this September when WEC and IMSA combine for one giant celebration of speed. Lone Star Le Mans will be here September 15-17. Tickets are on sale now from $59.